While many people don’t realize it, in almost any survival situation a flashlight is incredibly useful. I’d even go further in saying that a great tactical survival flashlight can fit almost any need you may have in almost any situation. These days, tactical and survival flashlights are incredibly affordable and come with so many features, it’s surprising. Here’s my personal best survival flashlight reviews of five of the most versatile products. I hope this review helps with all your questions and guides you into buying the flashlight that fits any current need you might have. If you have a variety of needs, the J5 seems to be the best option. With a massive number of positive reviews on amazon, over 1,600, the J5 seems to blow away expectations. The J5 is a great tactical flashlight boasting a powerful 400 lumen light output. It has multiple settings including High, Low, and Strobe light capabilities. It even runs off of AAA batteries! This tactical flashlight is tough as nails and is used by consumers in any setting from out in the wilderness to morning walks with their dogs. This great 4-in-1 flashlight achieves what many other tactical flashlights do not. The TC80 4-in-1 can attach to any surface using a powerful magnetic base and become a lantern. This survival flashlight has red light and strobe capabilities and is lightweight. It’s a lantern, survival flashlight, and more. The TC80 measures in at a little less than 7 inches, making it hard to carrying around every day but making it a great flashlight to throw in the truck and take around with you on trips. The AYL TC80 works well as a survival light for car camping and car situations, but its size does take away a bit from it’s performance. 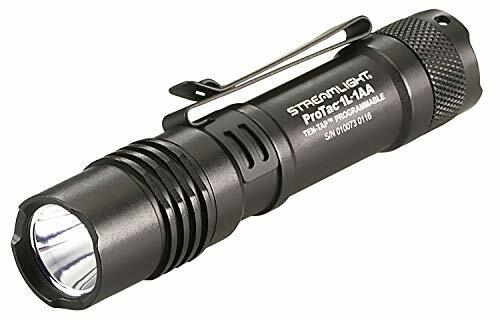 The Microstream is probably the best survival light on this list for everyday carry. At three and a half inches in length, this powerful, little flashlight can fit in almost any pocket. The Microstream boasts an incredible life of 30,000 hours, with close to 2,400 reviews on Amazon. However, it’s a pen light, therefore its light will not reach a very far distance for tactical efforts in the wilderness. As for everyday use and accessibility there are no other products that match what the Microstream C4 does. It has a good 45 lumens that can help in any situation. My favorite survival flashlight on this list is probably the Streamlight Dual Fuel Ultra Compact flashlight. It truly is incredible. This survival light has many different modes and features. It can strobe for self-defense, It has a low and a high function and it has multiple capabilities for battery usage. Throw a lithium battery in there, or simply a AA battery. The survival flashlight offers a great clip that can you can attach to clothes, hats, and more turning it into a headlamp as well. 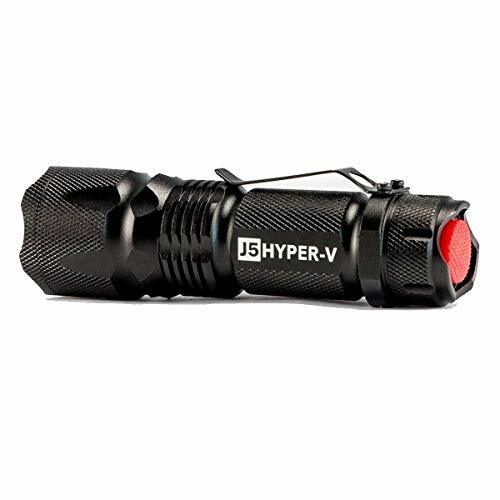 It offers a 2.5 hour run time and puts out a strong 150 lumens for its compact size. The Cynergy Lifelight is a unique one for our list. 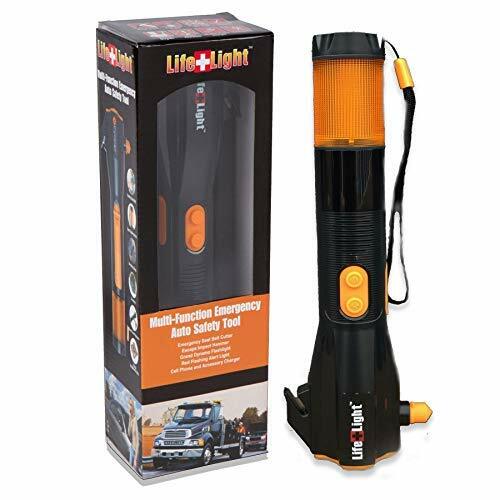 It is the only survival light with a hand-crank function and stands out as the most useful on this list for camping and such. In different scenarios the Cynergy Lifelight shines, literally and figuratively. It is a self powered hand crank flashlight, it has a seat belt cutter, a window breaker, a USB cell phone charger, and more! If you’re looking for something to have in any emergency situation, this seems to be the flashlight for you. Now the list for types of survival flashlights can go on and on. Different manufacturers seem to include more and more features with each new model. This can make it harder for you to figure out what you’d like in a flashlight. 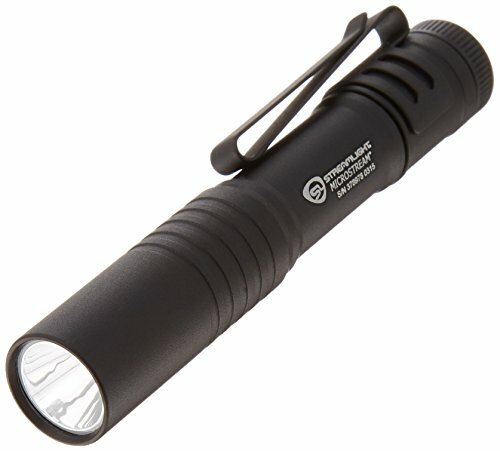 I’ve included several different types of flashlights on this list. Some are larger, some are pocket-sized, and even a hand-cranked flashlight shows up. If you’re looking for something to carry with you every day, maybe you’re looking for a pocket sized survival flashlight. If you’re going to be out in the wilderness backpacking, or camping off the grid, you’ll probably be looking for a versatile, hand-crank flashlight. Or perhaps you’re simply trying to find a reliable, sturdy flashlight that you can toss in the truck and never accidentally break. Take some time to think about what you’ll need your survival flashlight for. All in all, there are many different flashlights out there that can serve your needs. The most important thing to consider when picking the best survival flashlight lies in what you will be using it for. I sincerely hope this survival flashlight review answered your questions and narrowed down your search for the perfect survival light!